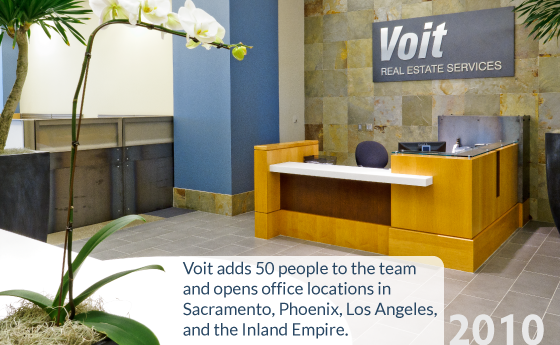 Voit Real Estate Services grows 30% in staff/brokers. 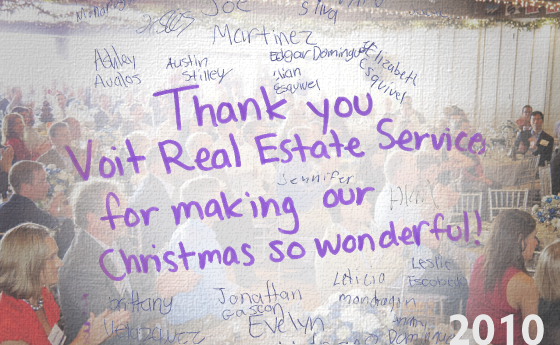 Voit holiday party provides The Boys and Girls Club of the Harbor Area a donation of more than 500 toys, along with a financial contribution. 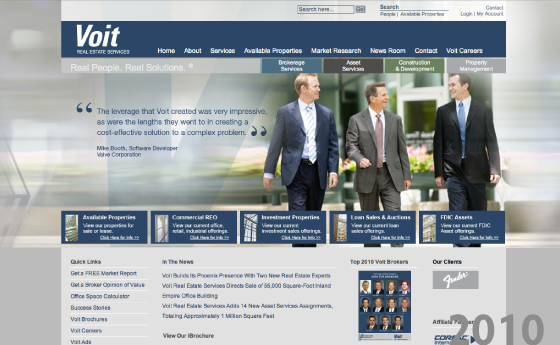 Voit launches new website and re-brands the company. After almost 40 years, Voit removes diamond from its logo. 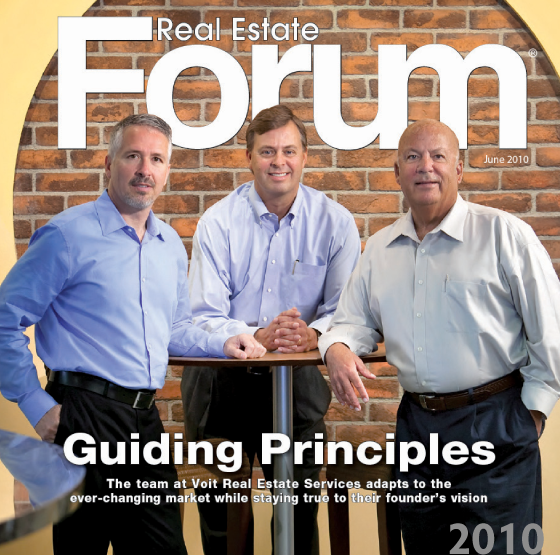 Voit is featured on the cover of Real Estate Forum magazine, discussing the firm's commitment to its roots. 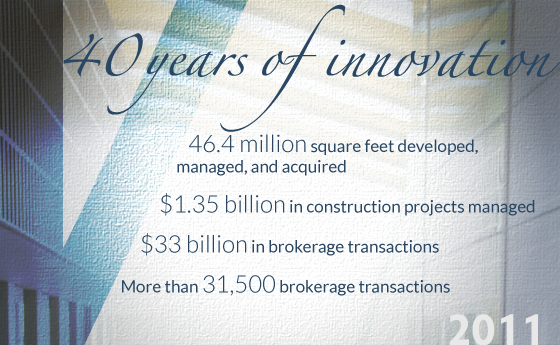 Voit Real Estate Services celebrates 40 years of innovation. 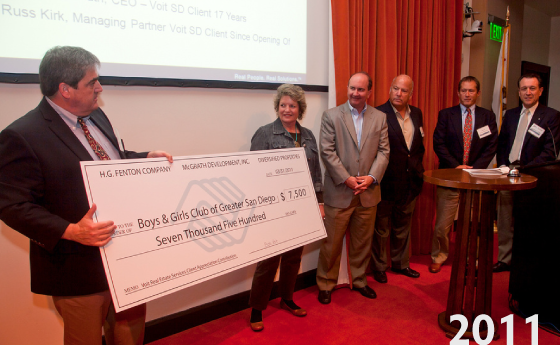 Voit donates $7,500 to the Boys & Girls Clubs of Greater San Diego in honor of the firm's long-term clients in that marketplace. 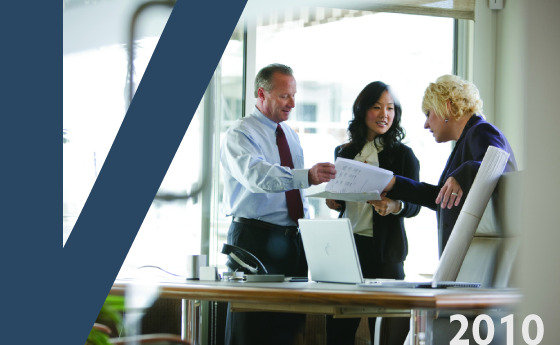 2010s - Having already grown 30% in staff and brokers in 2010, Voit undergoes a complete rebranding initiative, preparing the company to better serve its clients for the next 40 years.